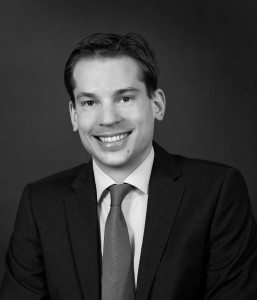 Philipp Lamprecht is a Senior Economist at ECIPE. He previously worked as an External Consultant to the OECD Trade and Agriculture Directorate, specifically on a project analyzing trade in services. Since 2014, he has worked as a full-time Consultant of the London School of Economics (LSE) on a variety of projects, including the Trade Sustainability Impact Assessment of the EU-Japan FTA negotiations for the European Commission (DG Trade), and a EuropeAid project on public procurement focusing on capacity building in the Caribbean region for the implementation of the EU-CARIFORUM Economic Partnership Agreement. Before joining ECIPE, he has also worked as a Project Manager on the European Commission’s Public Procurement Initiative (PPI). Before that, he has worked on a number of consultancy projects in the field of trade for the International Trade Policy Unit of the LSE, for example for the International Trade Committee of the European Parliament on the impact assessment of the EU-South Korea Free Trade Agreement. He has gained work experience at the European Commission’s DG Trade in 2011, working with trade negotiators on EU-Japan economic and trade relations, in particular on the European Commission’s internal impact assessment report on the future of EU-Japan trade and economic relations. He holds a PhD from the LSE with a specialization on International Political Economy. The PhD thesis, which he finished in 2014, lays a focus on economic diplomacy and bargaining power in international and multilateral trade negotiations. He holds a double master’s degree in International Relations from Sciences Po Paris and from the University of St. Gallen. He also studied Japanese Studies at the Kyoto University of Foreign Studies. His research interests include economic diplomacy, international trade, World Trade Organization, EU trade policy, EU-Asia trade and economic relations, and digital economy.